Many people do not realize that payment for a funeral is due prior to services being rendered. So, having a financial plan in place to pay for a funeral is essential for every adult. There are many ways to pay for a funeral, in advance or at the time of need. However, not all payment methods are created equal. Each method has its own risks and benefits, so it is up to you to decide which payment method is right for you. 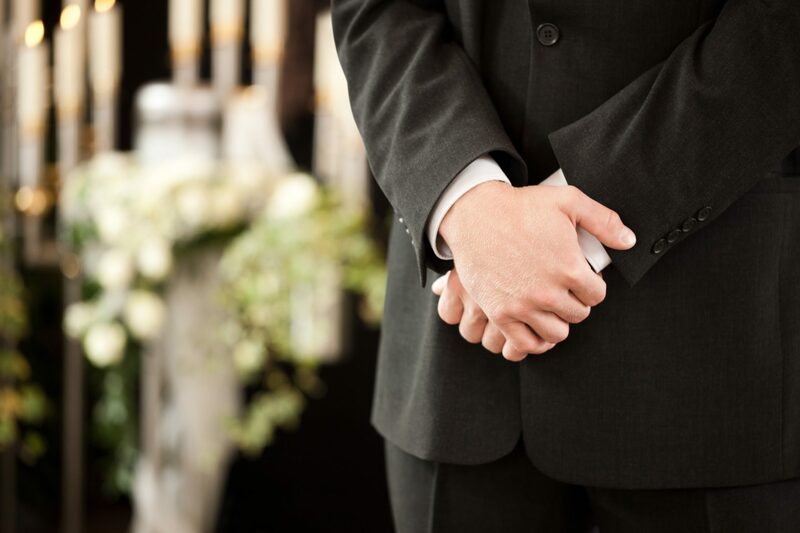 Many people choose to pay for a funeral in advance with a prepaid funeral plan. Funeral plans with a special “preneed” contract funded with an insurance policy, trust, or annuity offer several benefits. Some funeral providers will offer a guarantee that “locks in” the cost of the selected funeral goods and services at the current price. If you expect to live another 10, 15, 20 or even 30 years, this type of contract could save your family money. Preneed policies can be paid in full or set up on installment plans with a set number of payments that fit into your budget. The funds go to a specialized insurance company and offer growth with certain tax advantages. The plans are also transferable to another funeral home should you move away. 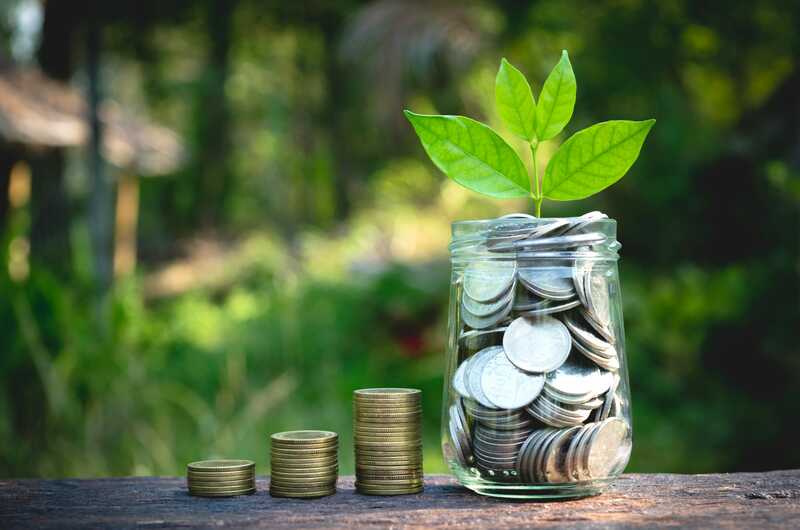 Funeral trusts also offer the benefit of some growth, depending on the underlying investment, so they are a popular option for those planning ahead as well. 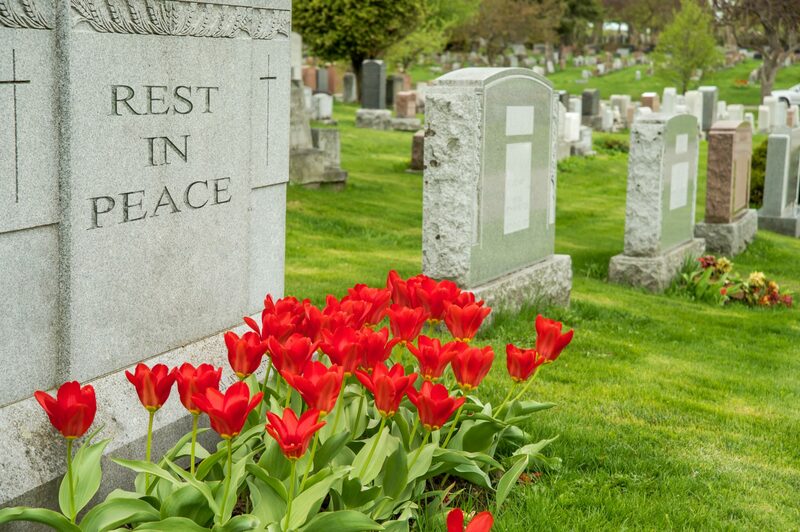 Some states require funeral homes to deposit 100% of funeral funds, and other states require only a percentage. 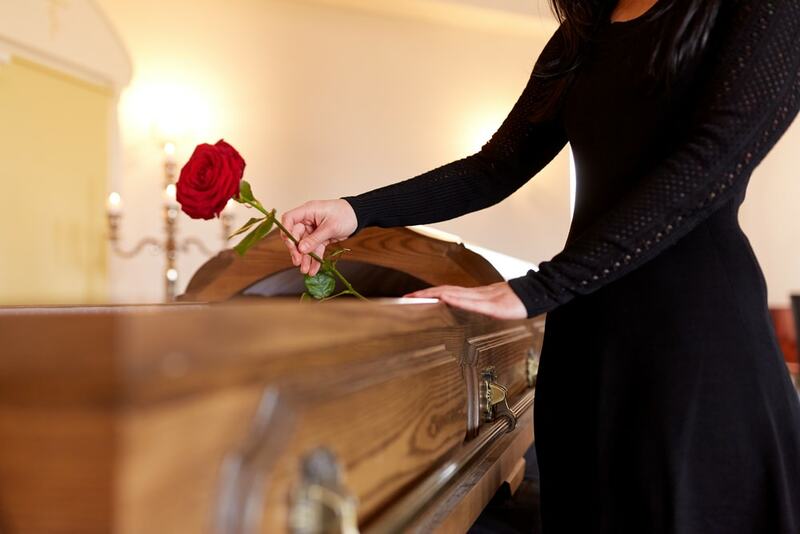 Be sure that you clearly understand the terms of your funeral trust before entering into a contract, and pay special attention to the portability of your trust funds should you move. Irrevocable prepaid funeral plans can also be set up as Medicaid-exempt assets to help an individual qualify for Medicaid later in life. 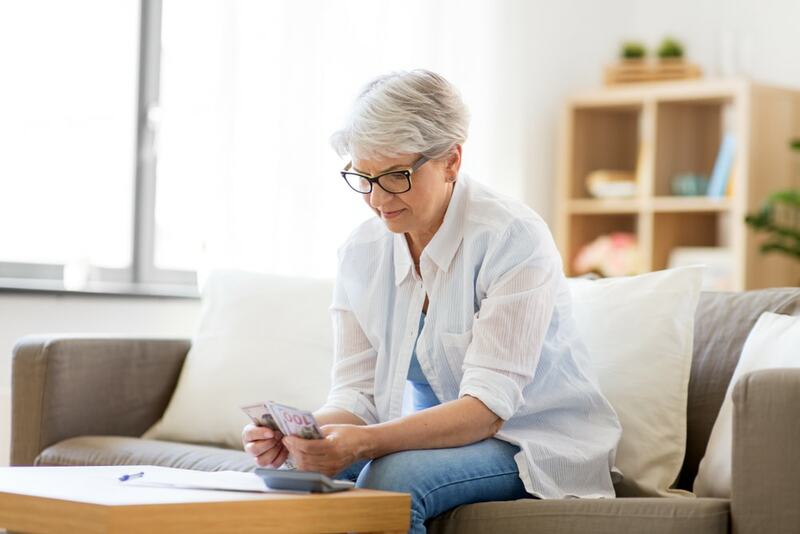 In the case of using an insurance policy to fund a prepaid funeral plan, it’s best to speak with a preplanning consultant who can review all of your options and answer any questions you may have. Families often plan to cover funeral expenses with a life insurance policy or final expense policy. The truth is, there can be many unexpected complications. To learn more about these complications, take a moment to read The Truth About Life Insurance and Funeral Expenses. Even if your policy is problem free, it may take 6 to 8 weeks to receive payment. Some funeral homes will agree to file the life insurance claim on your behalf, or they will partner with advance funding companies (also called an assignment company) to help families access life insurance policy benefits faster. 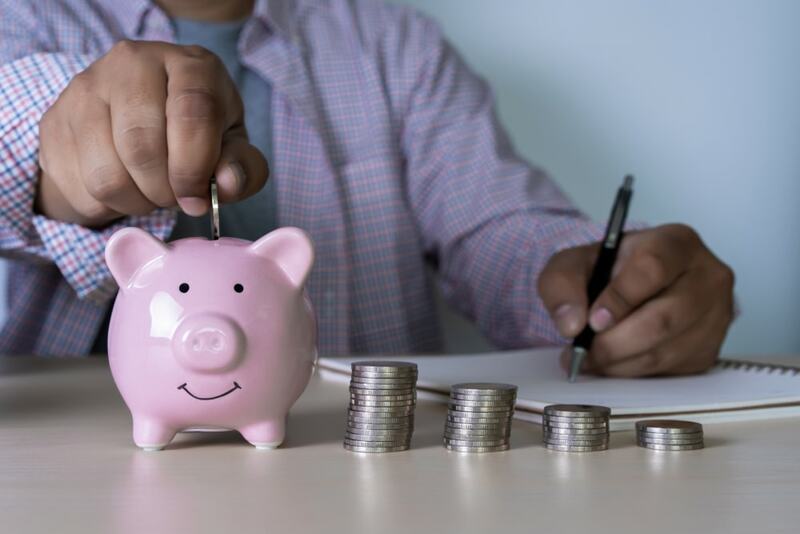 Similar to a rapid refund on a tax return that you might receive from your tax preparer, advance funding is an advance on your life insurance policy benefits. The assignment company contacts the insurance company and verifies that the policy has not lapsed and has no other issues. You will receive funds within 24-48 hours of verification of the policy. The assignment company will deduct a small fee to cover administrative costs. Some families choose to set up a pay-on-death account with a named beneficiary. This option allows your assets to be available to your heirs without having to go through probate. However, there are a few disadvantages to maintaining a personal pay-on-death account. With each year that goes by, the purchasing power in your account actually goes down. In addition, these types of accounts do not generally offer a sufficient amount of interest to offset inflation over time. Personal accounts are also not considered Medicaid-exempt should you require long-term care assistance. Personal accounts are also at risk of being used or seized due to civil judgments, bankruptcy, or divorce. Another possibility to pay for a funeral is using a credit card or taking out a personal loan. Obviously, this is not the best option since it includes the possibility of paying interest on the funeral amount. Some lending companies offer families funeral loans, often with no interest for the first few months. Ask your funeral director about funeral lending companies, if interested. 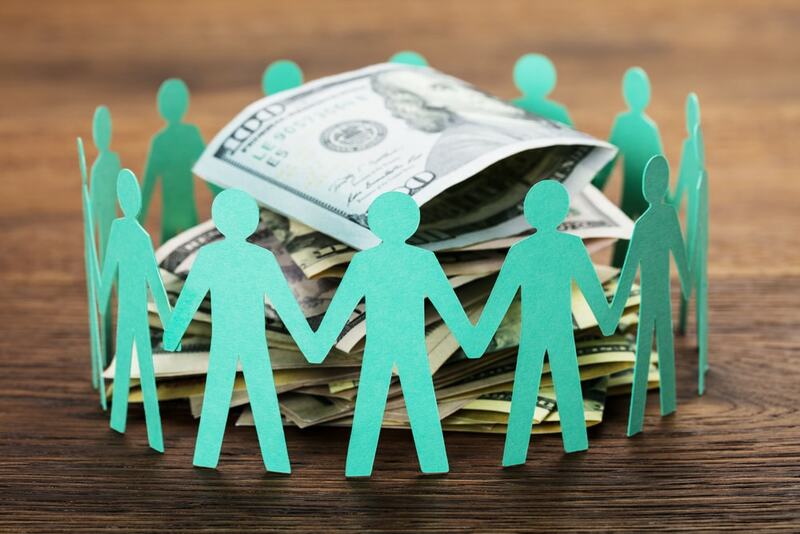 If no financial plan in place at the time of need, families can use a crowdfunding website to pay for a funeral. Some of these websites are general fundraising platforms that can help you raise money for a funeral. GoFundMe.com, in particular, has become a very popular way to campaign for a service. Other websites such as Funeral Fund are specifically tailored to funeral fundraising. These sites provide efficient ways to receive the financial support needed to craft a meaningful ceremony. With any option that you choose, you must weigh the risks and benefits of each. On one end of the spectrum, you have fully-insured prepaid funeral plans. These plans offer the highest amount of protection. On the other end of the spectrum, you have personal accounts. These offer the least amount of protection for funeral funds. In the end, it’s up to you to decide which option is the best for you and your family. 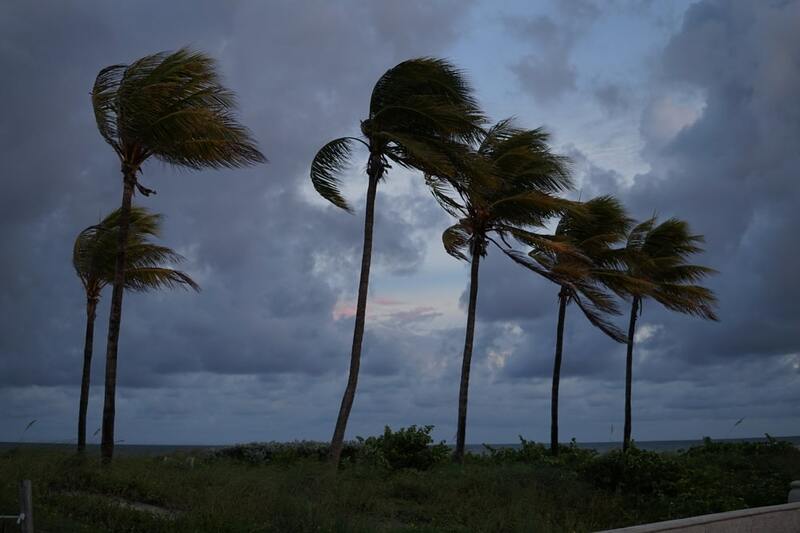 Hurricane Michael is lashing against Florida’s shores, sure to cause life-threatening conditions, catastrophic flooding, and property damage. Hurricane Michael comes right on the heels of Hurricane Florence, causing residents of North and South Carolina to prepare for another strong hit. 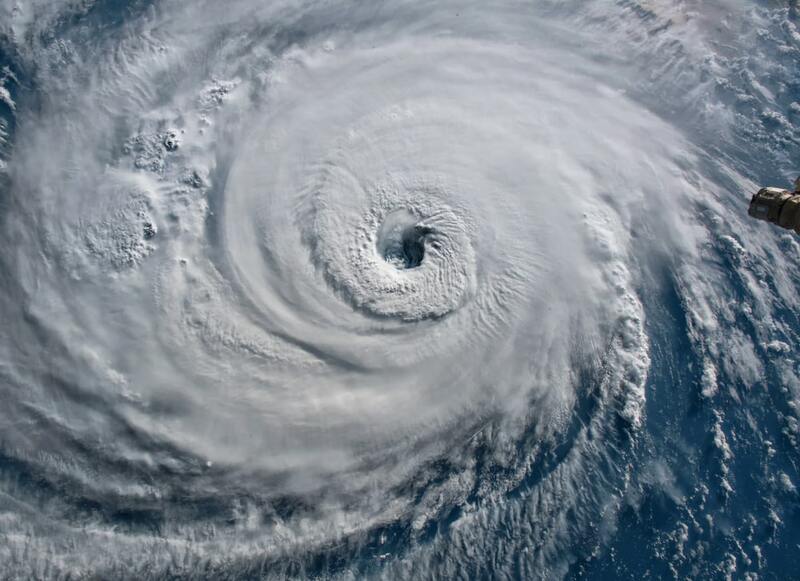 Both Hurricane Michael and Florence come just one year after Hurricane Harvey, Hurricane Irma, and Hurricane Maria. Together, the three hurricanes contributed to the deaths of thousands and caused billions of dollars in property damage last year. Losing everything so suddenly can be especially difficult to grapple with because all that is familiar–your home, your belongings, your pictures, even loved ones–are gone, washed away by an unrelenting storm. The trauma of such a devastating and sudden loss can manifest as complicated grief. 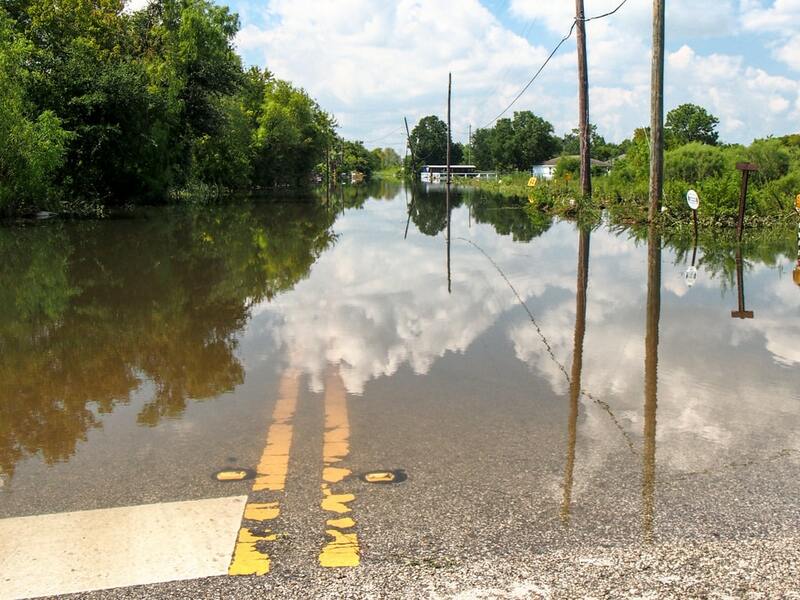 Be aware that total loss as a result of a sudden natural disaster can possibly trigger severe trauma responses, including anger, depression or anxiety, post-traumatic stress disorder. Usually, the severity of the response depends on previous life trauma and the support that survivors are able to find after the event. If you are looking for ways to help others during this time, it is important not to put your own life in danger by going out into affected areas on your own. Consider volunteering with an existing organization or donating to worthy organizations that are making a difference in impacted communities. 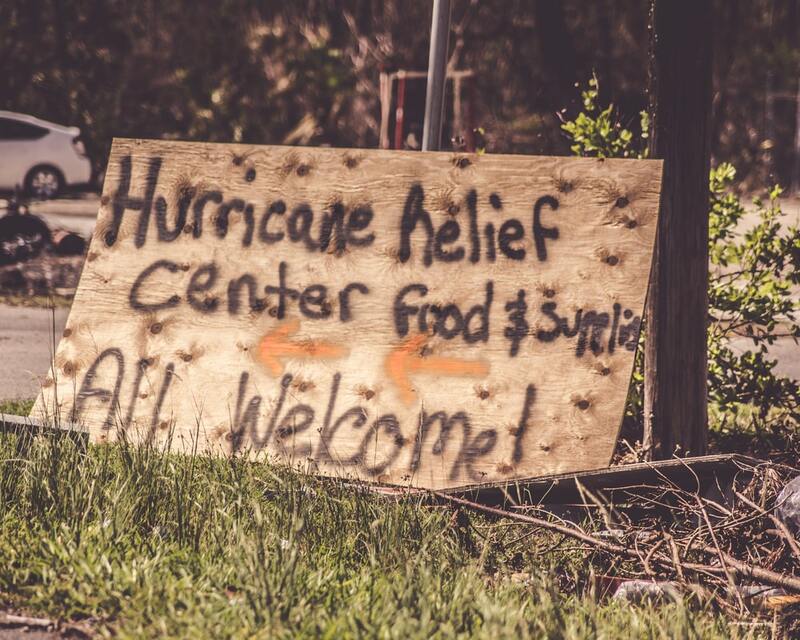 This article shares ways to contribute to hurricane and disaster relief efforts. If you know or are helping someone who has been affected by a recent disaster, the best thing you can do right now is listen to their story and offer tangible help in any way you can. Nothing will take away the pain of total loss. The rebuilding effort for both cities and individual lives will take time. There is not much that we can do to “fix it” or take their pain away. We can’t bring back homes, precious pictures, heirlooms, and loved ones. What survivors need right now is help with day to day necessities, as well as someone who is comfortable being a listening ear and a witness to their pain and loss. Having a visitation or viewing prior to the funeral ceremony can be of great value to a bereaved family. In this video, Dr. Wolfelt shows the history of visitations and why they are an essential element of the healing process. The visitation plays a vital role in establishing a support network for those who are grieving. It also provides an opportunity for friends to gather together to pay their respects. In addition, the visitation serves the important purpose of communicating the family’s desire for fellowship. During such a difficult time, even the most caring of friends may not know how to respond. They want to help, but might find it difficult to know how to respond if no public ceremony or gathering is held. As a result, friends may decide to keep their distance out of respect for the family’s privacy. The visitation offers an opportunity for the bereaved to receive support during a painful time of transition. By having a visitation, the family sends a message to their network of friends, letting them know that expressions of love and sympathy are appreciated. Visitations provide an opportunity for the bereaved to come to terms with the loss. When grief is fresh, the first instinct of the bereaved is usually to gather with loved ones to tell the story and try to make sense of the loss. The visitation brings friends and family together to “tell the story” as a shared experience. Going over the last moments of life, the last time you talked with your loved one and the last words spoken, helps those who grieve to process the reality of the loss. Sometimes, the family is able to spend time with the body at a visitation, whether in the visitation room or in a more private viewing area. Being able to view the body can help those who were closest to the person who died come to terms with the reality of the death. During visitations, stories are told, memories are shared, and the family is given a fresh look at how their loved one’s life had a positive influence on the world. You may choose to share photos, a memorial tribute video, or personal items that demonstrate your loved one’s life and values. For example, if your loved one was a quilter, an artist, or a collector, this is the perfect opportunity to showcase his or her life’s work. If your loved one enjoyed sports, golf, fishing, motorcycles, horseback riding, or any number of hobbies, you could display fishing gear, golf clubs, saddle and tack…even a motorcycle. Sometimes your friends and family will be able to share stories you’ve never heard before. Holding a visitation before the funeral service allows your family to see the deeply personal impact that your loved one had on the lives of others. The visitation offers an opportunity to express sympathy, share memories, and support the bereaved. 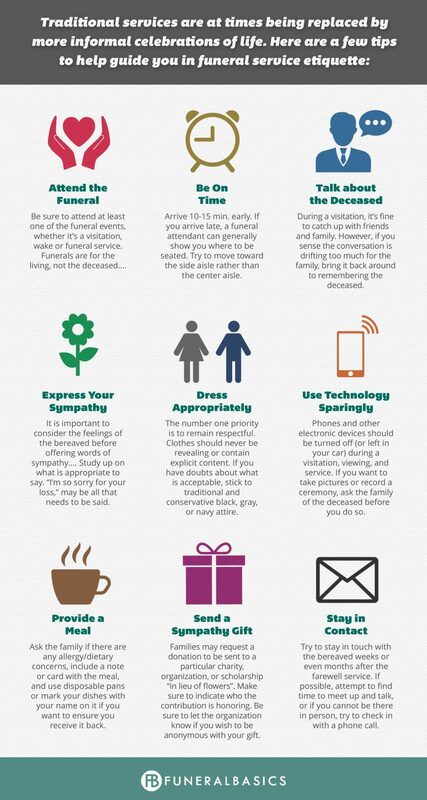 As one of the first steps in the grieving process, a good time of visiting with friends, neighbors, colleagues, and loved ones can set the tone for a special time of remembrance and healing throughout the funeral experience. It’s not too late to benefit from gathering together with friends and family. Many families gather on the anniversary of the loss or during the holidays and share memories, photos, and mementos. Maybe there was no time to create a memorial tribute video right after the loss, but one can be prepared for an anniversary gathering. It’s never too late to go backward and “tell the story” of your loved one’s life all over again. Dr. Alan D. Wolfelt is an author, educator, and grief counselor with over 30 years of experience working with bereaved families. He has written many best-selling books on grief and loss, including Healing Your Grieving Heart and The Journey Through Grief. Dr. Wolfelt serves as the Director of the Center for Loss and Life Transition. Visit him online at www.centerforloss.com. Some individuals feel sad or frustrated when a loved one’s missing presence goes unacknowledged during the holidays. 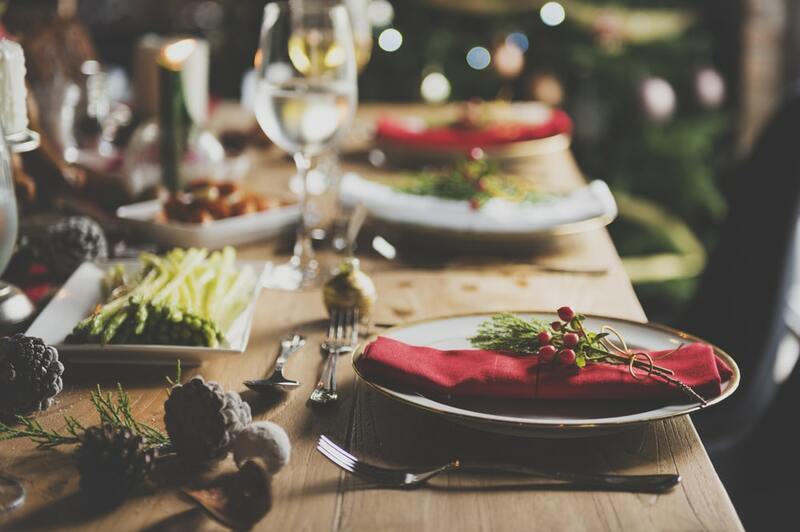 They might feel as if the person they love has been “forgotten” or “left behind.” One way to include your loved one into the holiday festivities is by dedicating a specific seat at the dinner table or a spot on the couch in the living room just for them. Consider decorating the memorial area to make it more personable. For example, light a candle, set a place at the table, or fill a space with photos of your loved one and surround it with their favorite flowers or holiday decorations. 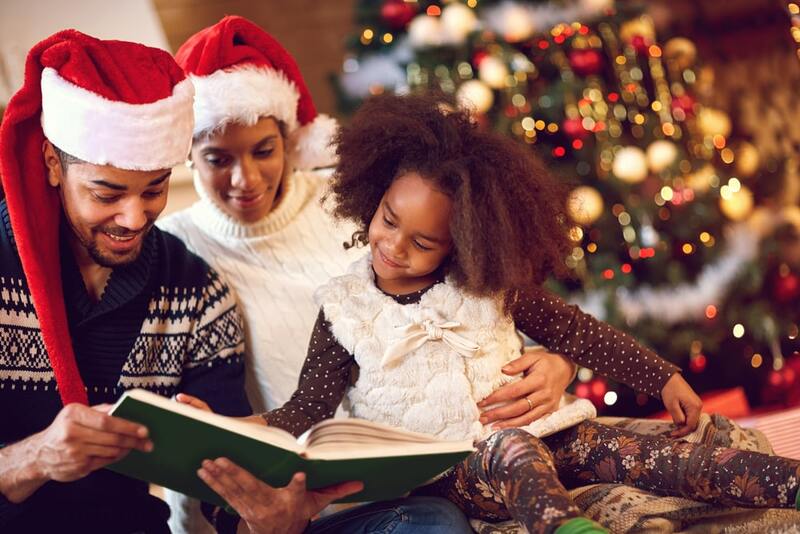 Having a designated place to honor your loved one allows you to acknowledge the absent family member without feeling like they are being ignored or excluded from your holiday activities. 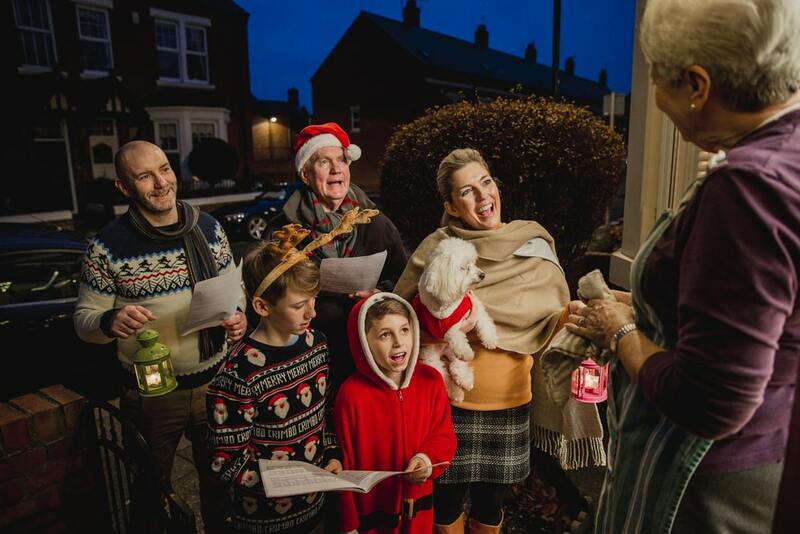 Sometimes it takes more than a visual reminder to keep the legacy of your loved one alive during the season. You might find comfort in keeping sacred traditions you shared with your family member prior to their passing. Cooking their favorite dish to serve at the family feast or watching their beloved classic film before bed can bring back happy memories of times once spent together. Keep in mind that new traditions can also be helpful if old traditions are too painful to face. Whatever you decide to do, setting aside time for activities that can be both joyful and painful are healthy ways of coping with your loss. Remembering the past can be bittersweet for grieving hearts. You might find talking about past times with your loved one can be an effective way of coping with your loss. Find pictures from some of your favorite memories and share the stories behind them with a family member or friend who you feel comfortable with. If you are not quite ready to openly talk about the past, scrapbooking is a creative way to share memories without having to speak a word. Another private option is to share your feelings and reminisce with the love one you miss through a letter. Transferring thoughts of memories into words may be painful, but processing them into words can assist in the healing journey. The hustle and bustle of the holiday season can leave anyone physically and emotionally drained. You might feel especially fatigued if you are grieving during the holiday chaos. It is essential to take time away from the commotion and schedule in some time for restful activities that you enjoy. 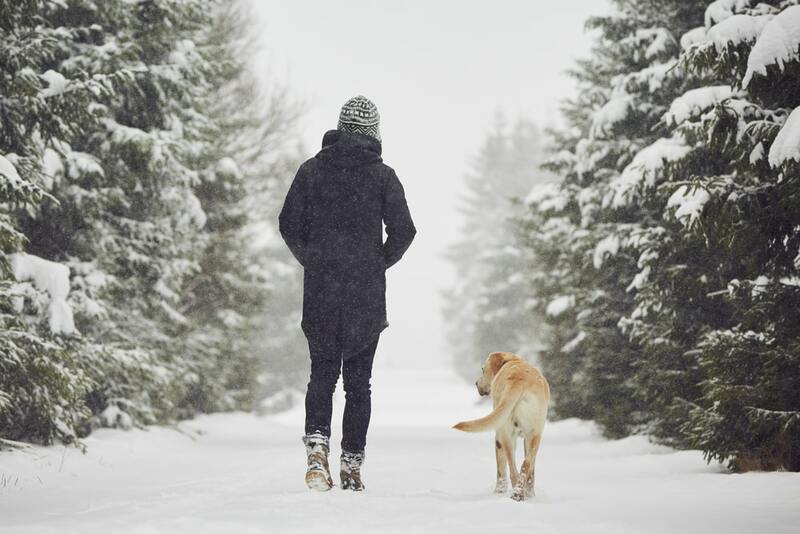 You may want to take a walk, splurge on a massage, listen to meditations on grief and healing after loss, or curl up with a cup of coffee and a good book. Give yourself time to process your emotions and refresh your spirit so you are better able to navigate the hectic pace of the season. Holidays are known for being a time of selflessness. A grieving heart can make the idea of giving seem exasperating and exhausting. However, if you find a cause your loved one was passionate about, you may find that giving in their honor is an outlet for your emotions. Giving can come in many different forms. If you feel capable, volunteering your time can be a great way to make a difference and keep your mind at work. Sign up to ring the bell for Salvation Army or volunteer at a donation center. If physical work is too strenuous or you are on a tight schedule, giving your resources can also be beneficial. You could gather donation items like canned goods or sweaters and blankets to give to local charities or join a local Toys for Tots or Angel Tree program. Try to choose a cause that doesn’t require an extra errand. Financial contributions are always appreciated if that method of donation is more preferable for your family. 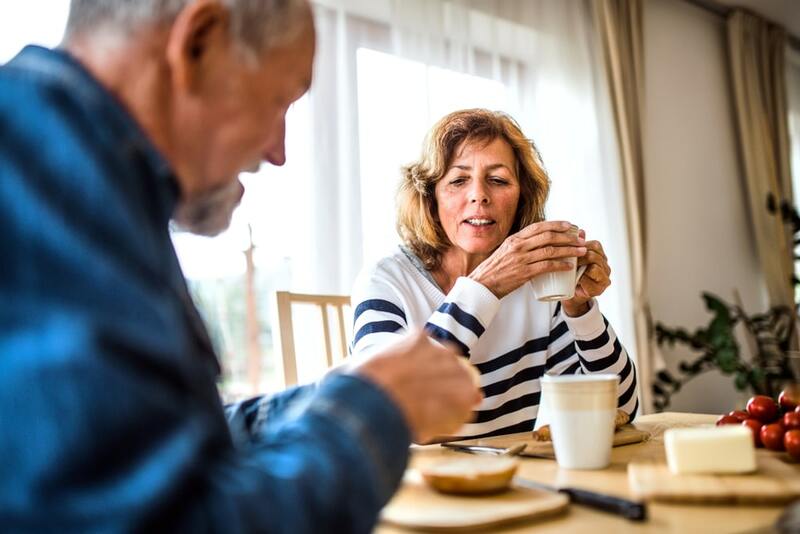 You can do any of these activities or contributions in honor of your loved one, helping you continue their legacy, cope with your grief, and actively help those in need. The holidays will never be the same. Going forward, the challenge will be finding a healthy balance between joy and sadness, tears and laughter, activity and rest. Remember to pace yourself, take care of yourself, and don’t take on more than you can handle. Traditions and rituals help us to express our deepest thoughts about life’s most significant events. Special ceremonies like graduations, weddings, and baby dedications involve traditions and rituals that help us mark important milestones in life. When a loved one dies, rituals and traditions can also help us mark a significant event and spend time remembering and finding healing. What makes a ritual so effective? First, rituals are symbolic. When we lose a loved one, we can use symbolic acts such as lighting a candle for the one we love, releasing a balloon or a lantern, or setting a place at the table on a birthday or anniversary. These symbols help us to remember that our loved one is always with us in our hearts. Second, rituals help us express emotion. Dr. Alan Wolfelt, renowned grief counselor and educator, is often quoted as saying, “When words are inadequate, have a ritual.” Sometimes, we need an outlet for expressing our deepest emotions, and words are not enough. When a loss occurs, the wound is often so deep that the pain goes beyond our ability to process with language. In times of great distress, a ritual can be more comforting and healing than 1000 eloquent words. Finally, rituals unite people in a common, shared experience. Funerals, visitations, candlelight services, memorial events, and celebration of life ceremonies help us feel a certain solidarity with others who are sharing our grief and loss. We have a unique sense of comfort from knowing that we are not alone and that others are supporting us on our journey through grief. We know that rituals and traditions can bring healing to the wounded heart. We know that ceremonies and gatherings help us feel connected to others and supported by the presence of loved ones. We know that rituals help us express our deepest emotions as we search for healing and reconciliation with grief. Below are a few examples of how you can incorporate the power of rituals into your healing journey. Light a candle – Set a place at the table or set up a memorial display area at home and light a candle when you want to honor the memory of a loved one. You can light a candle every day or on special occasions such as birthdays, anniversaries, or holidays. Lighting a candle symbolizes the light that your loved one brought to you and the memory of the person who lives on in your heart. Release balloons, doves, butterflies, or paper lanterns – Releasing a balloon or lantern is a ritual that symbolizes releasing a lost loved one or sending loving thoughts to their spirit. Some people write notes and attach them to balloons or lanterns. 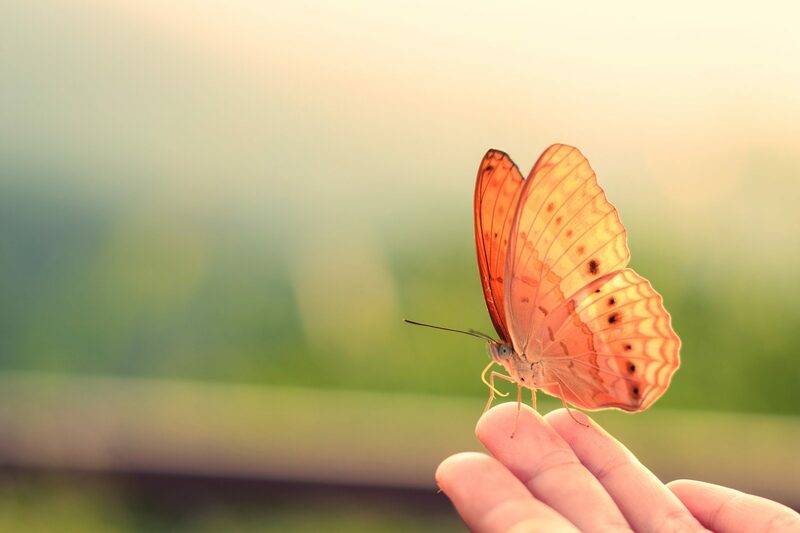 Some people release doves or butterflies to symbolize a loved one’s ascension to heaven or transition into a new spiritual form. Recall memories – Family and friends may choose to gather on special occasions to share memories and honor a loved one. This may occur on the first anniversary of the death, at family reunions, or on significant days like Mother’s Day or Father’s Day. Go to the graveside – Some people who grieve find comfort in visiting the grave of their loved one, leaving fresh flowers, or simply spending time reflecting on the loss. Mourners often visit the grave on special days or on any day that they want to feel close to their loved one. 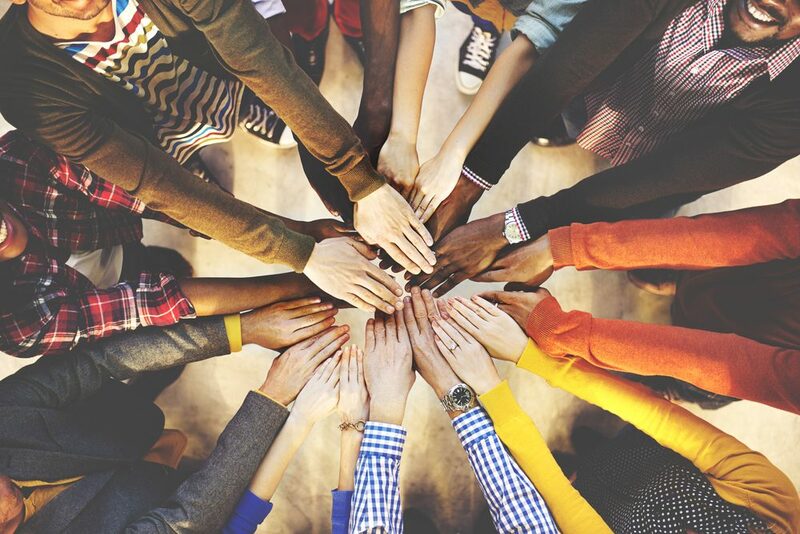 Attend a support group or special memorial event– Certain community events such as support groups, grief workshops, or remembrance events such as candlelight vigils can also bring comfort and healing. Such events help us connect with others who are also feeling the pain of a loss, which can bring a greater sense of peace. Carry a remembrance item – Sometimes a small keepsake, like a handkerchief, a watch, a piece of jewelry, or a small heirloom can serve as a reminder of a lost loved one. If you don’t have a keepsake, you can choose memorial jewelry that is designed to carry cremation ashes or a lock of hair or that is imprinted with the fingerprint of a person who has died. You can even have a diamond made from the ashes of a loved one! Heirlooms and keepsakes also serve as a daily reminder that often brings comfort to those who mourn. 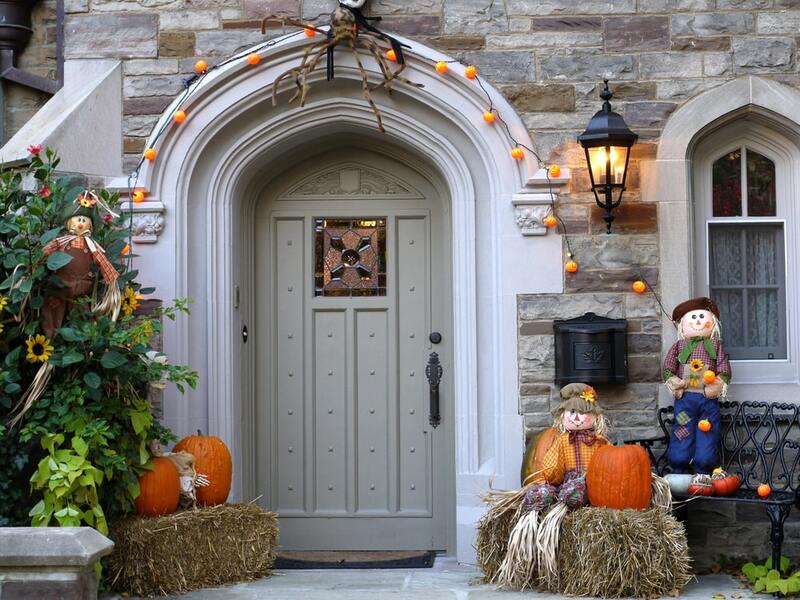 As the seasons change, you may begin to see Halloween décor pop up all around your neighborhood. Spider webs and tombstones, skeletons and caution tape, and all manner of ghouls and goblins begin to grace the streets in anticipation of the holiday. 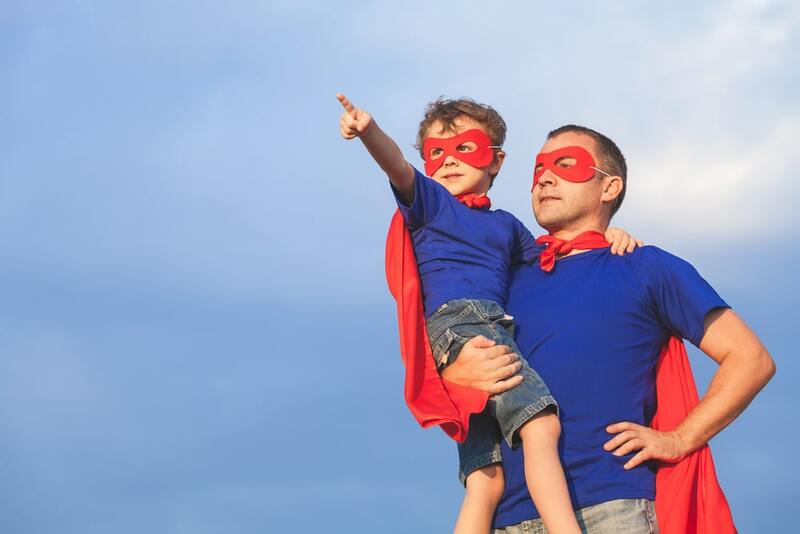 But if you have experienced a sudden, tragic, or violent loss, the Halloween season can feel like navigating a minefield, especially if children are involved. What may have once been a fun, candy-filled holiday now seems distorted, insensitive, and disturbing. Grotesquely exaggerated images of death seem to be around every corner. Symbols of death, such as cemeteries, become horrible scenes for entertainment—making a mockery of death. You may even feel betrayed by those around you. They may not seem to understand how hurtful their enthusiastic celebration of Halloween can be. First and foremost, spend a few minutes deciding what you want Halloween to look like for you and your family this year. This is a time to guard yourself and your family – not yield to the expectations of others. You can avoid that spooky house on the way to work by taking an alternate route. You can skip the store aisles displaying seasonal items. Make a plan for how – and to what degree – you will celebrate this year…if you choose to celebrate at all. Most of the time, anxiety comes when there is no plan in place. To avoid unpleasant emotions, decide ahead of time what feels appropriate for you and your family. 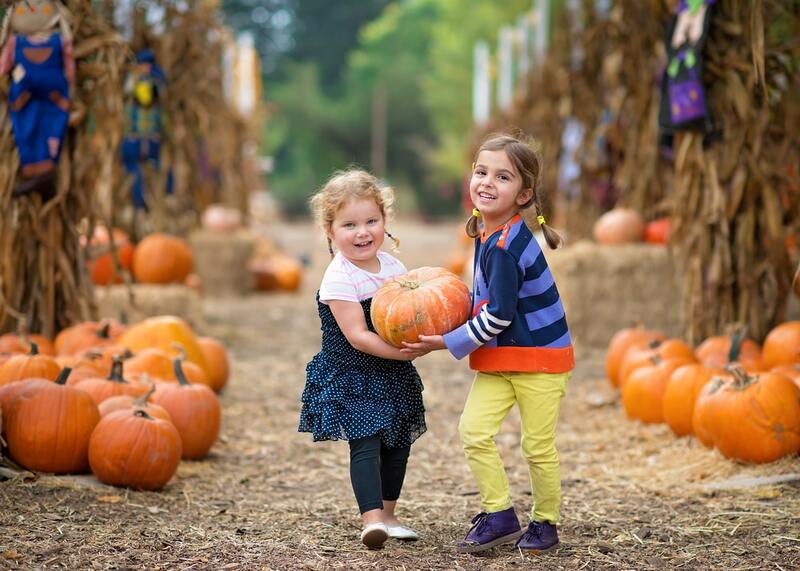 Rather than celebrate Halloween as you have in years past, you could choose other, more neutral fall activities, such as picking pumpkins in a pumpkin patch or going on a hay ride. Or, you might choose lighthearted or funny costumes instead of scary ones. 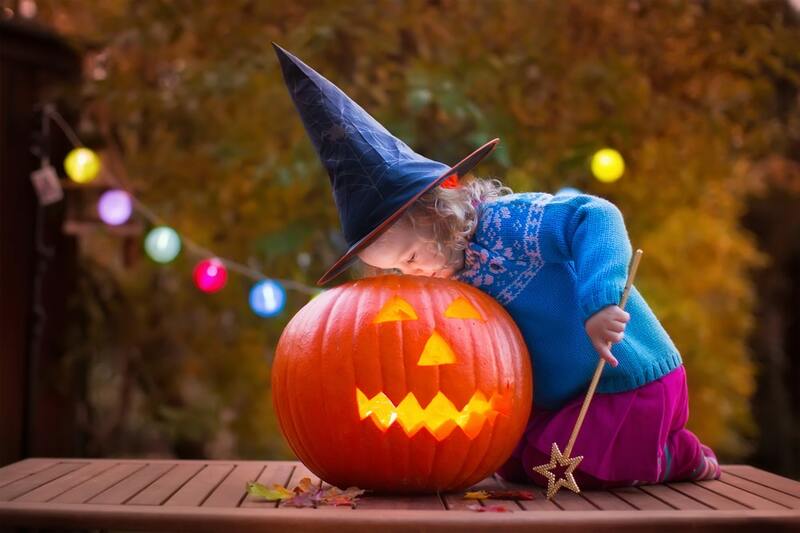 If you do decide to trick or treat with kids, be sure to check with them to see if they are prepared to face some of the scary, gory costumes or yard decorations they may see. In addition, be sure you know exactly what you are getting into when you go to a Halloween carnival or party. As a safer alternative, many churches offer more “family friendly” fall festivals or “trunk or treat” opportunities for children. Mourning is a deeply personal journey, and only you know the right way to mourn for you. You may want to light a candle in remembrance, decorate with fall leaves and gourds instead of skulls and cobwebs, or start a new tradition! Make caramel apples, watch It’s the Great Pumpkin, Charlie Brown, or make some s’mores over a fire–maybe even spend time remembering what you loved most about the person who died. If you are having trouble with this holiday, it is important to be honest about how you feel with those around you. 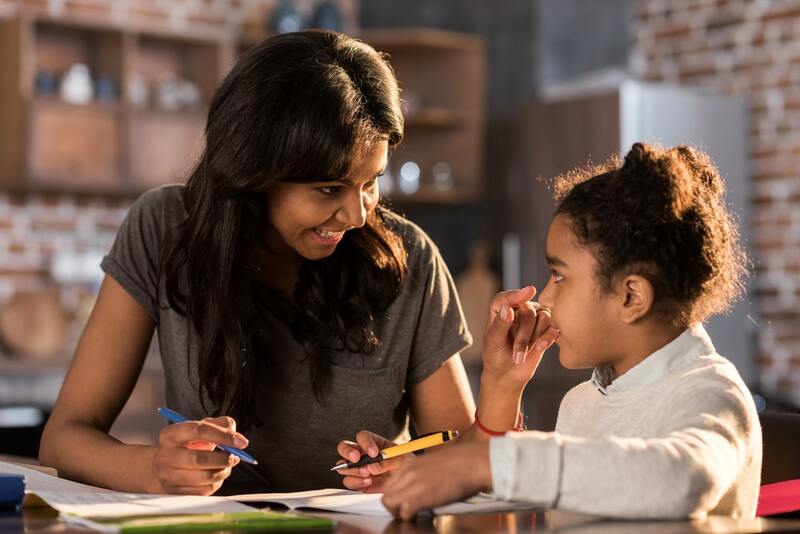 If your friends or your children ask you to participate in something you are not quite ready for, let them know what you are going through. You may also wish to share your feelings with a support group, online forum, or trusted counselor or friend. Sharing your feelings can help you process through any emotions that are triggered by this season and help you move toward healing and reconciliation with the loss. Although this time can be extremely difficult, others haven’t experienced what you have. Most people see Halloween as a chance to dress up and be someone else for a while. Try to understand that most people are simply oblivious to the pain you feel.